We have Dacor certified an authorized servicer. Our company Honolulu Appliance Repair Pro provides repairs and installation on all models of Dacor appliances. That includes both Modernist and Heritage kitchen collections. We repair Dacor ranges, rangetops, cooktops, wall ovens, ventilation, microwaves, warming drawers, barbecue grills, refrigerators, and dishwashers. Our skilled techniques are up to date on all the latest technology Dacor has to offer. With an expansive and precise appliance like Dacor, you want to use only the best for both repair or installation. We are a top professional company in Honolulu fully authorized and trained to repair Dacor. Dacor has been established provider of luxury home appliances for many years. They make everything from refrigerators to ovens and dishwashers. And each appliance they make will both look good in any cooks kitchen and will perform amazingly. For example, they just announced a new Four-Door FreshZone Plus French Door Refrigerator as well as Pro Dual-Fuel Steam Range. Both of those items revolutionize appliance industry. But even with this fantastic appliances you need proper service and repair some day. We can help you keep your luxury home appliances working well because we are Dacor certified and knew exactly what to do. For best Dacor appliance repair Honolulu, call us at 808-518-2966 or fill out a short contact form. We are just a phone call away from any location on the whole island of Oahu. Our service area includes Aina Haina, Aiea, Ala Moana, Aliamanu, Capitol District, Downtown Honolulu, Foster Village, Fort Shafter, Hawaii Kai, Kahala, Kaimuki, Kakaako, Kalihi-Palama, Kalihi, Kuliouou-Kalani Iki, Leahi Park, Liliha-Kapalama, Makiki, Manoa, Mccully Moilili, Moanalua, Niu Valley, Nuuanu, Oahu, Palolo, Pauoa, Red Hill, Salt Lake, The Arts District, Waialae, Waialae – Kahala, Waikiki. Your Bertazzoni refrigerators, washers, dryers, etc. will be as good as new. Please give us a call for a local Oahu appliance repair service. If you are in need of Kenmore repair in Honolulu, we can help. Our company Honolulu Appliance Repair Pro specializes in all Kenmore appliance repairs. Our technicians are factory trained and certified. They know all the ins and out of Kenmore appliances. For example, Kenmore refrigerators, Kenmore washers, Kenmore dryers and much more. You can call us with all of your appliance needs. We will be able to find the problem and give you the best solution. We carry a majority of Kenmore parts and if necessary can order them for you. Our team will make sure your Kenmore be fixed correctly and will not give you any more problems at all. Kenmore is a well know brand of appliances. They have been around for more than 100. When it comes to their products, this company embraces both performance and innovation. With three distinct product lines of Kenmore, Kenmore Elite and Kenmore PRO, they have products for every kind of consumer. This company is time-tested, iconic and dependable. Kenmore continues to deliver innovative technology, modern American style, and thoughtful features to help you cook, clean and live more. But like all products, once your appliance out of warranty you will need a professional to repair it. Our company is to do Kenmore repair in Honolulu and anywhere on the island of Oahu. With us, you get time-tested expertise and friendly customer service in one package. Our technicians have been doing Kenmore repairs for years. They know both old and new models so that they will do an excellent job on it no matter what. 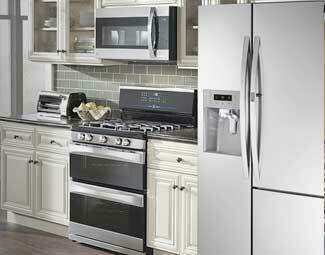 Kenmore appliances fulfill any need of a modern kitchen. 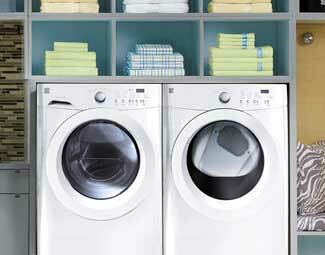 Their products range from refrigerators, dishwashers, washer, dryer, water heater, much more. We can repair any of those. 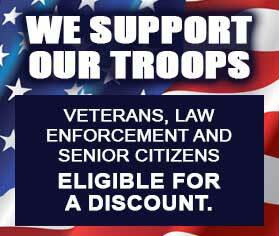 Whether you have just Kenmore or Kenmore elite or Kenmore pro we can help you with any one of those into time. Customer satisfaction guaranteed. Our company has been doing repair service in Honolulu, Hawaii for more than 30 years. Oahu is the largest of Hawaiian islands and is often called “The Gathering Place. It is both a bustling city and a surf town. We have been doing appliance repair in this area for years. We serve the entire island from Aina Hainaa to Aiea and from Waialae – Kahala to Waikiki. In fact our service area includes Aina Haina, Aiea, Ala Moana, Aliamanu, Capitol District, Downtown Honolulu, Foster Village, Fort Shafter, Hawaii Kai, Kahala, Kaimuki, Kakaako, Kalihi-Palama, Kalihi, Kuliouou-Kalani Iki, Leahi Park, Liliha-Kapalama, Makiki, Manoa, Mccully Moilili, Moanalua, Niu Valley, Nuuanu, Oahu, Palolo, Pauoa, Red Hill, Salt Lake, The Arts District, Waialae, Waialae – Kahala and Waikiki. For all of your Kenmore repair in Honolulu, please give us a call at 808-518-2966 or fill out a short contact form. Our company prides itself on working on some of the most significant repair projects in Honolulu. In fact, we often fix restaurant cooking equipment in major Honolulu restaurants, hotels, and resorts. We are equally knowledgeable about commercial appliance repair as well as residential appliance repair. If you have a laundromat and one of your Kenmore washers or dryers is broken, please call us. We have a lot of experience in fixing Kenmore washer and dryers for local Honolulu laundromats. As an experienced commercial appliance company, we will work with your schedule and make it convenient for. Same day services are always available, and we will make sure not to disturb your customers. If you are not a business owner and just have a broken Kenmore appliance in your kitchen, we can help you as well. We have some of the best professionals in the appliance repair industry. They are all trained and certified by a majority of appliance repair brands. We, in particular, concentrate on Kenmore repair in Honolulu but that is not all. For example, we very often work with Bosch, Bertazonni, Dacor, DCS, Fisher&Paykel, Frigidaire, GE, Jenn-Air, KitchenAid, LaCornue, LG, Marvel, Liebherr, Miele, Samsung, Sub-Zero, Siemens, Thermador, Perlick, Traulsen, True, Viking, Whirlpool, and Wolf. We know how to work with the newest models and European as well as Asian made kitchen appliances. Whether your appliance is brand new or 20 years old, our team will find the right solution for you. We make sure that our team is always taking classes and learning about innovations in the industry. The appliances we encounter today are not the same that our parents and grandparents used. They are full of computer chips, sensors, and other new technology. And this technology changes every year with every model. Some of those things tend to improve the functionality of the appliance but others actually make it more prone to brakes. Often new technology only appears in a new model to disappear in the next one. We try to know all those details. Our company can order any part you might need, and we will make sure to install those parts correctly. After an appointment with you, your appliance will work as good as new. It does not matter how technologically advanced it is. We will know how to fix it. Besides having a lot of experience we also offer you excellent customer service. When it comes to Kenmore repair in Honolulu, we are always on time and well prepared. Our trucks are loaded with new tools and equipment. Our technicians are always polite and friendly. They are ready to go out of their way to satisfy you. We offer all of our customer’s FREE service call with every repair and FREE estimate. Our team is so sure of our work quality that we also offer you very good labor and parts warranty. So, you can be sure that your Kenmore appliance is in good hands. Indeed it will be repaired properly and last you for many more years to come without breaking. We are your best choice for Kenmore repair in Honolulu because we have more than 30 years of hands-on experience in appliance repair. Our company has a lot of skills and knowledge. We also know how to treat our customers right. Be it a big company, resort, hotel restaurant or just a regular consumer. No project is too big or too small for us. We can handle it all. From fixing a burned washer motor to fixing tubes in a refrigerator. Or technical team knows how to work with every model of appliance. They will be able to fix your once in no time at all. For best Kenmore repair in Honolulu, call us at 808-518-2966 or fill out a short contact form. We would love to help you with all of your appliance repair needs. We repair all brands and models of appliances not limited to Kenmore. For example, refrigerators, washers, dryers, dishwashers, stove and ranges, ovens, steams, microwaves, freezers, ice makers, barbecue grills, pizza ovens, patio heaters and much more. We will be happy to serve you anywhere on the island of Oahu including areas such as Honolulu, Waikiki, Makiki, Manoa, and Kalihi. Honolulu Appliance Repair Pro serving Honolulu! Best appliance repair service in Honolulu!